Organic and animal materials require special care in your museum collections. This page provides introductory information for a number of different kinds of organic objects. Please be aware that some organic materials in your collection, like taxidermied specimens, may be hazardous. Find more information about those objects in the “Hazardous Materials” section, and consult a professional if you have any concerns about hazardous objects. The National Park Service offers a useful 3-page guide to preventive conservation of your organic materials. The State Historical Society of Iowa has also compiled a PDF with a wide range of resources about different kinds of organic objects. The Smithsonian Museum Conservation Institute has a page on The Care and Handling of Ivory Objects. For more on ivory, watch this video, where you can hear the Chief Curator of the Field Museum discuss how you should care for and document ivory if you find it in your collection in accordance with the international laws and regulations in place as of 2007. The Canadian Conservation Institute published this guide to caring for the ivory, bone, horn, and antler in your collections. The Welsh Museum Federation has this helpful guide to caring for shell, eggs, and bone in your collection. Speaking of shells, the National Park Service created this important guide to “Byne’s Disease,” or shell degradation, and how you can prevent it by storing your shells properly. The Connecting to Collections Online Community has a recording available on “The Care of Leather and Fur.” The Minnesota Historical Society provides an overview for identifying, caring for, repairing, and properly displaying leather and fur collections. 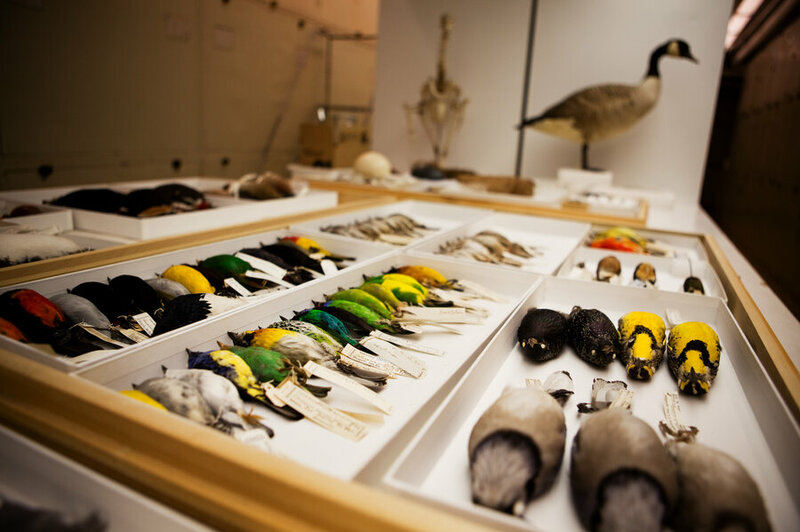 This guide from the National Park Service provides basic guidelines for handling and caring for dry bird and mammal specimens in your collections. Some museums use live flowers in their exhibitions and displays for aesthetic or informational purposes. Before you introduce live plants into your collections, be sure to read this guide from the Museums and Galleries Commission. If you find dried plant materials in your collection, or plan to dry plants for educational or collections purposes, this guide from the San Diego Natural History Museum will show you how to properly create, manage, and care for dried plant specimens.